We've tasted how Android Ice Cream Sandwich 4.0 will feel on an HTC, complete with their own UI overlay Sense, thanks to those with the know-how to produce the screenshots and ROMs we always crave. HTC are now giving customers a chance to get their hands on the real thing ahead of its general release without the need for a ROM or any such trickery. We're already aware that the official roll-out for ICS on top HTCs should commence in latter half of March, however those sporting an HTC Sensation or the Beats-enabled XE variant will be able to taste this upgrade ahead of the pack. The other main proviso is that you have to live within the EU too, which probably just upset a fair few of you in the US for one. For those of you lucky enough to fit both of these criteria, that means you get the 'green light' on potential upgrade goodness sooner than most. Unfortunately, beyond the terms and conditions we've mentioned above, HTC have not yet disclosed any further information concerning how or who will gain access to this exclusive club, but we hope we get picked, that's for sure. Should your Sensation or Sensation XE chime with delight, informing you about such an update anytime soon, do not hesitate to get in touch and let us know. Don't fit the bill, but still want an idea of what you're missing out on for now? 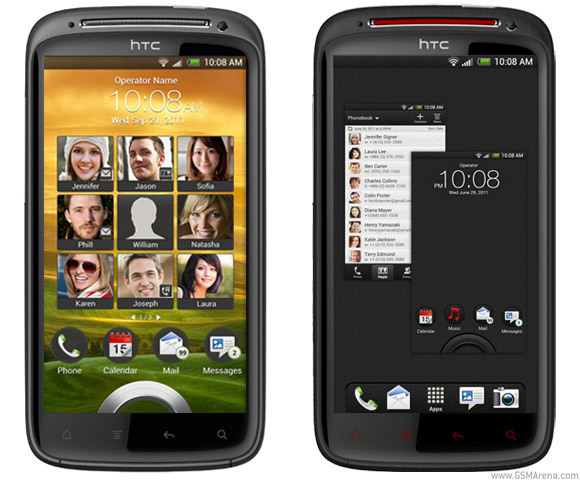 Why not take a look at the screens of Sense 4.0, lifted from the HTC Endeavor's (originally known as the Edge and now as the One X) RUU.